Because we are historians, we offer reflections about our history . . . The new, upgraded and redesigned, version of our official Website, online from 2014, allows us to post images and other media, such as the freely downloadable PDF versions of some of our Publications. It also gives the opportunity to review our history and development across the years since our formation in the United Kingdom and reformation in the United States. 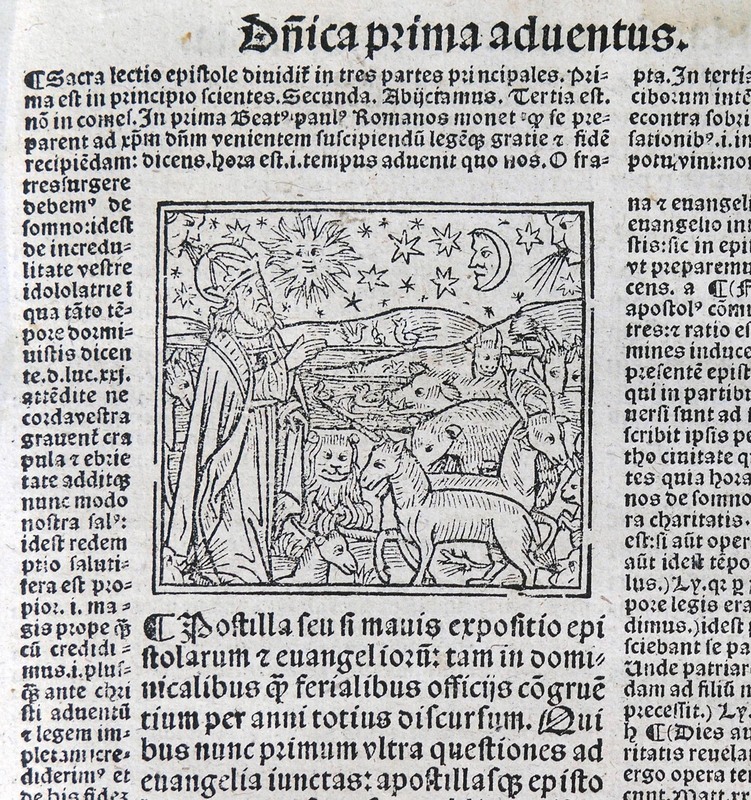 Drawing upon knowledge in the arts and sciences, the Research Group on Manuscript Evidence emerged through a major seven-year Research Project in England at The Parker Library of Corpus Christi College in the University of Cambridge. The project had 2 distinct phases, in which the first led directly to the second. 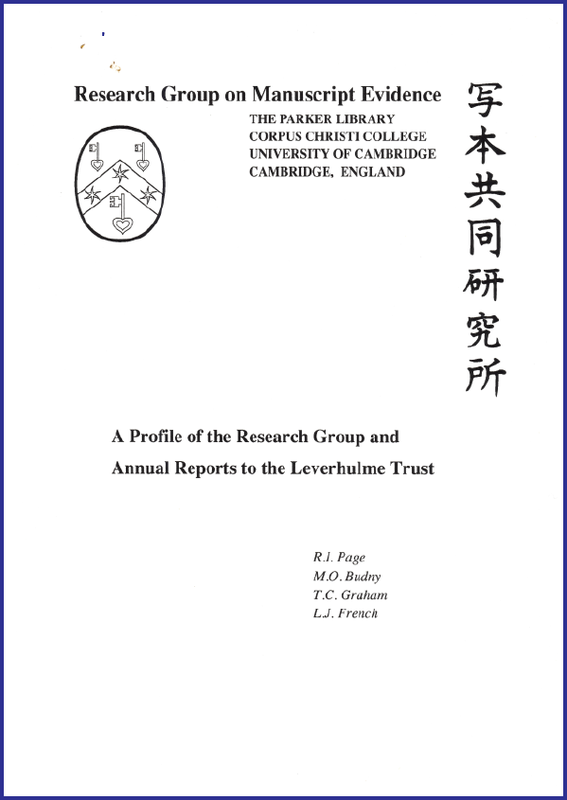 Starting with a Senior Research Associate in 1987 and expanding to a team in 1989, the project was funded for the first two years by an international group of individual as well as corporate donors, and then, as it expanded, for five years by the Leverhulme Trust. Under the broad heading of “The Archaeology of the Book”, the project considered, in close detail, a group of Anglo-Saxon and related manuscripts, as well as early printed books, from Late Antiquity to the present. Some of the materials were undergoing conservation, and so could be examined, recorded, and photographed extensively while disbound, as if during an archaeological excavation revealing evidence normally hidden. These circumstances gave a remarkable opportunity to gather expertise in many fields, apply it to evidence both known and newly discovered or recovered, and derive significant results from this integrated perspective, research, and knowledge. 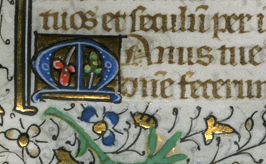 The project demonstrated the importance of approaching manuscripts, both as individuals and as groups, from as wide a range of perspectives as possible. It also worked to develop a methodology for distinguishing evidence from interpretation, or “facts” from “opinions.” Extending these principles beyond the immediate project led to the formation of the Research Group on Manuscript Evidence. The Group was founded in 1990 from the core researchers of the Research Project and other specialists contributing their expertise from centers in Europe, Japan, and North America. The Group was established as a private, international nonprofit organization devoted to research on manuscripts and other forms of texts and their contexts across the centuries. Mildred Budny, one of its founders, has been Director since 1994. From 1990 onward, a series of Research Group Seminars on “The Evidence of Manuscripts” worked to develop and helped to disseminate the practices of integrating expertise in multiple fields, with application to a wide range of manuscripts, early printed materials, and related evidence. Already during the time of the Research Project, the Group began its custom of sponsoring Sessions and other events at the annual International Congress on Medieval Studies, starting with the 1993 Congress. Over time, these activities extended also to other forms of scholarly meetings, to other forms of manuscripts and written texts, to other bodies of evidence, and to various forms of Publications — including this website. Since 1994 the Group has been based mainly in Princeton, where it has expanded its mission to encompass many subjects in the transmission of texts and their accompaniments through the ages. The growth of its Annual Symposia on “The Transmission of the Bible” and other activities led the Group to organize more formally, with a Board of Trustees and invited Honorary Associates. Their number grows with the expansion of our mission and our work: Officers, Associates & Volunteers. In 1999 the Group registered in the State of New Jersey as a nonprofit corporation for educational purposes. In 2001 the United States Internal Revenue Service granted it official Recognition of tax-exemption as an nonprofit organization, as defined in Section 501(c)(3) of the Internal Revenue Code. In 2004 the I.R.S. granted it Reaffirmation of this status upon the first five-year Reassessment from the date of incorporation. Having focused most of our efforts on reaching these goals, the Group now seeks funding to consolidate its achievements and carry on its mission. Our Bulletin ShelfLife describes and illustrates these initiatives and related activities. 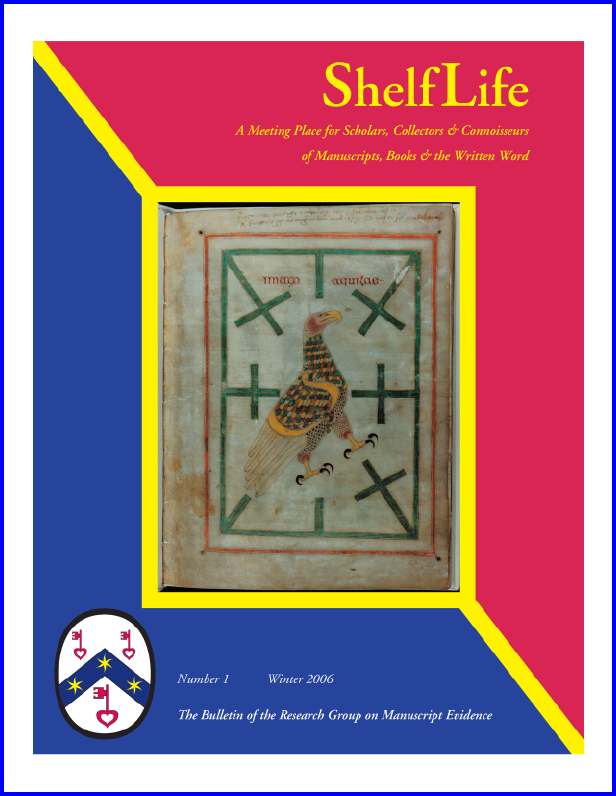 Our Newsletter ShelfMarks explores a variety of subjects and interests, medieval and other. 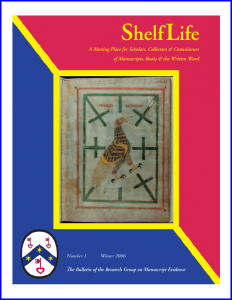 Our blogs, devoted respectively to our Congress Activities and Manuscript Studies (with a convenient Contents List), continue to report the preparations and results of research work, both individual and collaborative, both current and long-term. Our Page for News & Views reports updates for the preparations, progress, and accomplishment of our activities, celebrates achievements of our Trustees, Associates, Donors, and Volunteers, and announces publications, exhibitions, and other contributions. The list of our Publications continues to grow. Most of them are available freely on or through our website. Rather than aiming to found a school as such, requiring buildings and staff, the Group exists specifically for lectures, discussions, and other forms of publication. It is devoted primarily to the pursuit of education as a vital, and essential, collaborative endeavor across the generations, between students and teachers in many centers and in many areas of interest and importance, and between academic communities and the wider world. Our approach offers a span across time and space. The design of our logo emerged as the idea of creating such a group took shape. 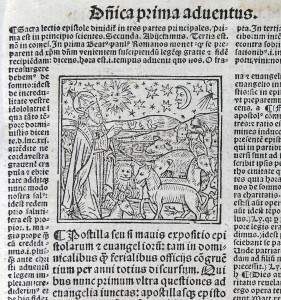 First it appeared in black-and-white (see above). The “colorized version”, with red, white, and blue (plus bright yellow), arose, after the move of our principal base to the United States, in response to the preparations for becoming a nonprofit educational corporation. 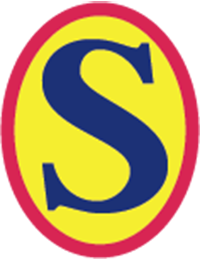 Our illustrated Bulletin ShelfLife (Number 1, Winter 2006) includes an account (page 37) of the inspiration, design, and iconography of this corporate logo: “About Our Logo”. And now here, too: Our Logo. www.manuscriptevidence.org/wpme (as now; You are Here). Over the years, the Wayback Machine, now also known as the Internet Archive, has intermittently archived “snapshots” of our website(s) as manuscriptevidence.org. Those “snapshots” record moments in the history first of our Drupal website (in 2008, 2011, 2o13, and 2014) and next of our WordPress website (2015–). The new site uses our own copyright digital font Bembino, which, after years of development, became available for download — for FREE — on our first website, first in Version 1.0 and then in Versions 1.1, 1.2, 1.3, and now 1.4. 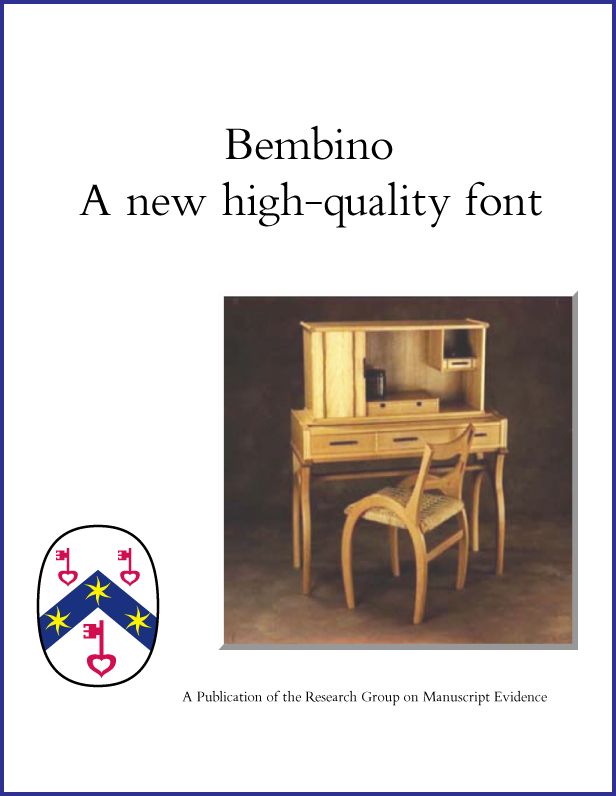 The current Version 1.4, with its revised descriptive Booklet, is available for download on this site: Bembino. Years in the making, our copyright multilingual digital font is available for FREE. You can learn more about it and download both it ans its companion Booklet here: Bembino. Also, now you can “hear” an Interview with our Font & Layout Designer, in the form of a downloadable booklet, available freely here. You might learn about our design principles and practices through our Style Manifesto. Its series of versions tells the tale of evolution of our designs as the technology and equipment developed, and as our opportunities, interests, and publications unfolded. As time goes on, and as more materials enter the Pages and Posts of our website, we can include more records from the Archives of the Research Group on Manuscript Evidence, both as an international scholarly society and, since 1999, as a New Jersey nonprofit educational corporation. Stages in the process of this engagement on our website, with the digital presentation of parts of the Archive, both old and new, are described in one of our blogposts, with updates as appropriate: Research Group Archives. It is wholly consistent with our mission and activities to exhibit elements of the evidence of our history, texts and photographs included. Do you have suggestions for the historiography of our organization? Do you have photographs, correspondence, recollections, or other materials relating to stages in our history? Would you like to share them with us? We would be glad to hear from you. Please Contact Us, leave Comments here, and/or visit our Facebook Page to join the conversation.